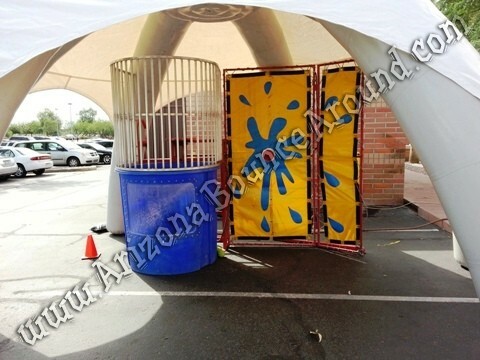 Our 20' X 20' sealed air dome tent adds a unique design to the idea of a tent rental. 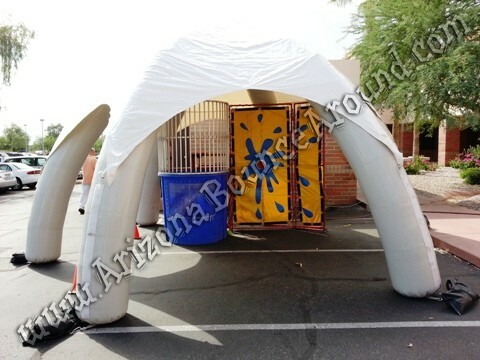 Rent this tent for events such as park parties, corporate events, school carnivals, church functions, or any other event require large amounts of shade. Side walls are available to rent so you can turn it into a concession booth, ticket or welcome booth, trade show booth, or even turn it into a sweet 16 dance tent! This sealed air dome tent has no cables or poles inside with a peak inside height of 9.5 feet in the center. It even has grouments inside to hang lights for use at night or a mirror ball. You can add our dance floor lights, fog machines, or dance floors to create a dancing party experience like never before. Its also great for coctail tables or portable bar area. 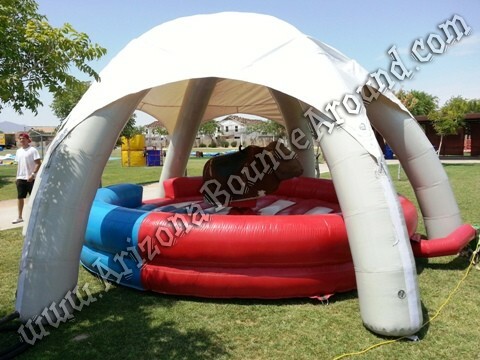 Ask us how to use our sealed air tent rental to create the first evaporative cooled mechanical bull rental. 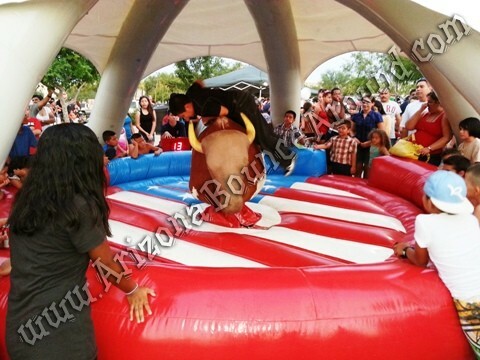 Using our american flag mechanical bull ring we can create a fun and comfotable experience for everyone. Imagine being able to rent the mechanical bull on a 110 Degree day and still be able to ride in an air conditioned tent.